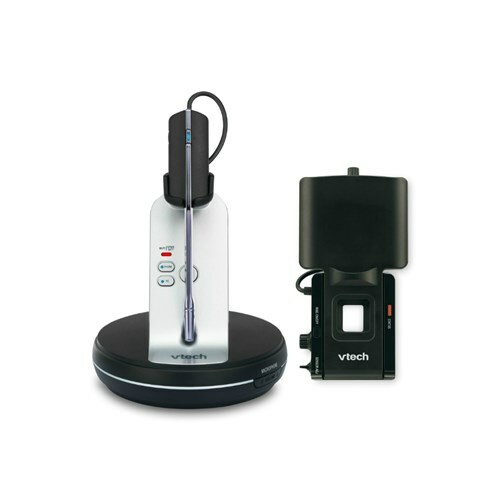 The VTech VH6211 is a Convertible office wireless headset that comes with a Lifter. It is equipped with DECT Security which delivers excellent sound, enhanced security and range. It features HD Voice & Wideband Audio so that the calls sound rich & lifelike. The phone has 3-level battery status indication and one-touch call, answer, end call, volume level and mute operations. The VH6211 features noise-canceling microphone that reduces background noise and is ideal for noisy office environments. It has a second battery compartment that allows you to change the battery mid-conversation for increased talk-time. It can be worn over-the-ear, over-the-head or behind-the-neck. This headset has up to 500 feet of range and secure magnetic charging cradle. 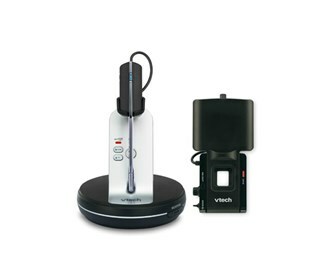 The VTech VH6211 has many exciting features for users of all types. It's one of FactoryOutletStore's best selling . You can extend the lifetime of your VTech VH6211 with the purchase of a FactoryOutletStore Factory Protection Plan. See the VTech VH6211 gallery images above for more product views. The VTech VH6211 is sold as a Brand New Unopened Item.